Retail Excellence, as lead members of influential, Brussels-based representative body Ecommerce Europe, has noted the recent agreement by EU Finance Ministers to mandate online marketplaces (Amazon, eBay etc) to pay VAT as if they were the third party seller. 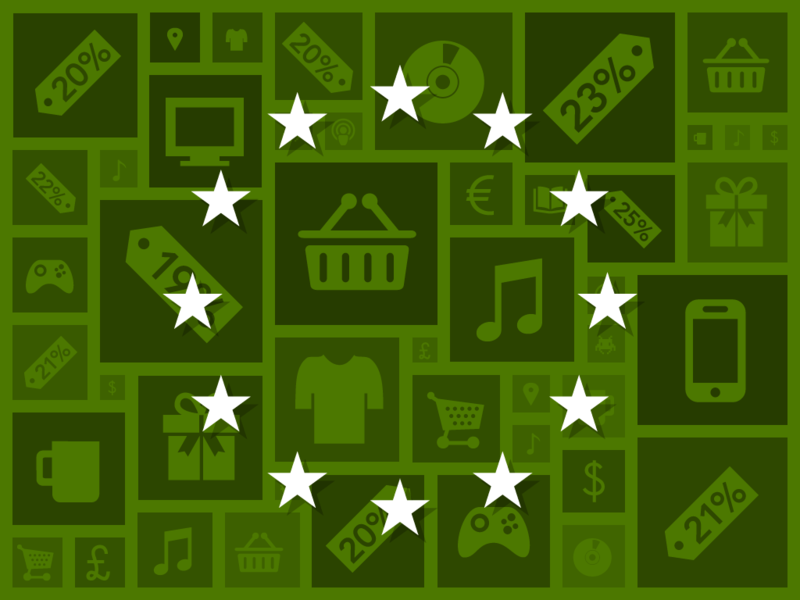 According to the measures agreed in December 2017 (the VAT E-commerce Reform), online marketplaces will be considered to act as the seller when they facilitate sales of goods with a value up to €150 to customers in the EU by non-EU businesses using their platform (note: for shipments from third countries above a value of €150 a full customs declaration is required). Importantly, the same rules will apply when non-EU businesses use online platforms to sell goods from ‘fulfilment centres’ in the EU, irrespective of their value, allowing tax authorities to claim the VAT due on those sales. Online platforms will also be expected to keep records of sales of goods or services made by businesses using the platform. The implementing rules agreed on 12 March specify in more detail when online marketplaces are considered to facilitate such supplies or when they are not considered to do so, based on whether or not they are setting the terms and conditions of the supply as well as their involvement in the payment or ordering and delivery of the goods. They also specify in detail what kind of records have to be kept by platforms facilitating supplies of goods or services to customers in the EU. The implementing rules agreed yesterday will also ensure that a brand new VAT system is ready for all businesses that sell goods online as of 2021. The rules introduce new building blocks for the system that will be needed for online companies to take full advantage of the EU’s Single Market. The updated electronic business portal for VAT or ‘One-Stop Shop’ put in place by these measures will allow companies that sell goods online to their customers to deal with their VAT obligations in the EU through one easy-to-use online portal in their own language. Without the portal, VAT registration would be required in each EU Member State into which they want to sell – a situation cited by Ecommerce Europe and other industry representatives as one of the biggest barriers for small businesses trading cross-border. The system is already in place for e-service providers since 2015. Final adoption of the new rules will be possible when the consultative opinion of the European Parliament becomes available. That said, the Member States can rely on the rules adopted today to start extending their IT systems. The new VAT rules will apply from 1 January 2021 with Member States having until the end of 2020 to transpose the new rules of the VAT Directive into national legislation. Businesses wishing to make use of the extended VAT One Stop Shop can start registering in Member States as of 1 October 2020.